ABC Seamless steel siding is taking the home remodeling industry to a new level. ABC Seamless Siding is different from the others, because it's SEAMLESS. Other sidings must be constantly overlapped every 12 feet to reach the length of your home, creating a pattern of UGLY splices. The average home has 130 splices. 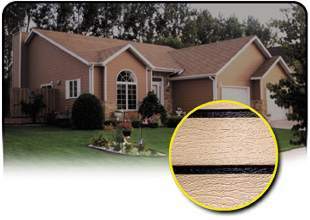 ABC Seamless steel siding eliminates the UGLY splices. Each piece of seamless siding is custom fit to the exact measurements of the home. The ABC Seamless siding machine forms every panel on the job site in the color and style you choose. ABC Seamless Eliminates Ugly Seams and makes your home virtually maintenance free. 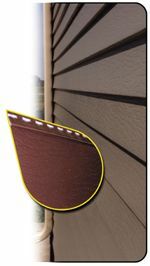 Seams collect dirt and moisture that quickly make other siding look shabby. With ABC Seamless Your house will look freshly painted, saving you time and money year after year. ABC Seamless is an original, the leader that redefined siding and made all others obsolete. The newest technology with old world craftsmanship, ABC seamless siding is backed by warranties you can trust. Discover for yourself what thousands of homeowners already know. ABC Seamless Siding is an investment in unmistakable quality and beauty.